Who should not take Hydrocodone-Ibuprofen? What conditions does Hydrocodone-Ibuprofen treat? Tell your doctor right away if you have any serious side effects, including: easy bruising/bleeding, fast/pounding heartbeat, difficult/painful swallowing, mental/mood changes (such as agitation, confusion, hallucinations), difficulty urinating, unusual weakness, signs of your adrenal glands not working well (such as loss of appetite, unusual tiredness, weight loss), symptoms of heart failure (such as swelling ankles/feet, unusual/sudden weight gain). Stop taking this medication and get medical help right away if any of these very serious side effects occur: fainting, slow/irregular/shallow breathing, signs of kidney problems (such as change in the amount of urine), severe drowsiness/difficulty waking up, unexplained fever, persistent/severe headache, unexplained stiff neck, seizure. This drug may rarely cause serious, possibly fatal, liver disease. Stop taking this medication and get medical help right away if you have any symptoms of liver damage, including: dark urine, persistent nausea/vomiting, stomach/abdominal pain, yellowing eyes/skin. A very serious allergic reaction to this drug is rare. However, get medical help right away if you notice any symptoms of a serious allergic reaction, including: rash/blisters, itching/swelling (especially of the face/tongue/throat), severe dizziness, trouble breathing. List Hydrocodone-Ibuprofen side effects by likelihood and severity. Before taking this medication, tell your doctor or pharmacist if you are allergic to ibuprofen or hydrocodone; or to aspirin or other NSAIDs (such as naproxen, celecoxib); or to opioid pain medications (such as codeine, morphine, hydromorphone); or if you have any other allergies. This product may contain inactive ingredients, which can cause allergic reactions or other problems. Talk to your pharmacist for more details. Before using this medication, tell your doctor or pharmacist your medical history, especially of: aspirin-sensitive asthma (a history of worsening breathing with runny/stuffy nose after taking aspirin or other NSAIDs), low red blood cell count (anemia), bleeding or clotting problem, brain disorders (such as head injury, tumor, seizures, stroke), breathing problems (such as asthma, sleep apnea, chronic obstructive pulmonary disease-COPD), growths in the nose (nasal polyps), high blood pressure, heart problems (such as irregular heartbeat, recent heart attack), liver disease, mental/mood disorders (such as confusion, depression, thoughts of suicide), personal or family history of a substance use disorder (such as overuse of or addiction to drugs/alcohol), stomach/intestinal problems (such as ulcer, blockage, constipation, diarrhea due to infection, paralytic ileus), fluid retention/swelling of the ankles/feet/hands, difficulty urinating (such as due to enlarged prostate), gallbladder disease, disease of the pancreas (pancreatitis). What should I know regarding pregnancy, nursing and administering Hydrocodone-Ibuprofen to children or the elderly? Does Hydrocodone-Ibuprofen interact with other medications? Should I avoid certain foods while taking Hydrocodone-Ibuprofen? 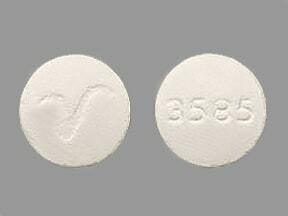 This medicine is a white, round, film-coated, tablet imprinted with "V" and "3585". 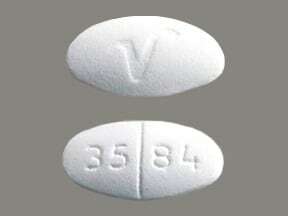 This medicine is a white, oval, scored, film-coated, tablet imprinted with "35 84" and "V". 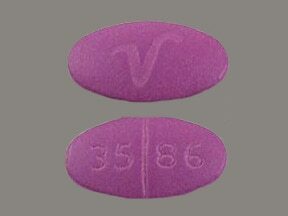 This medicine is a purple, oval, scored, film-coated, tablet imprinted with "35 86" and "V". 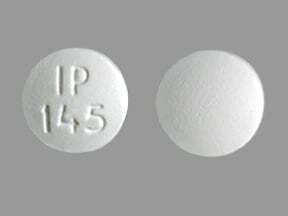 This medicine is a white, round, film-coated, tablet imprinted with "IP 145". 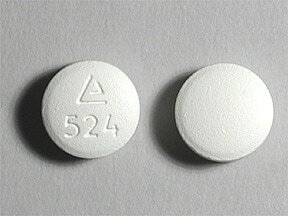 This medicine is a white, round, film-coated, tablet imprinted with "logo and 524". 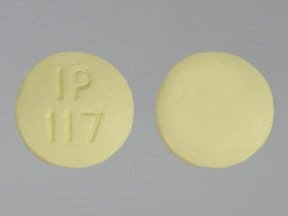 This medicine is a yellow, round, film-coated, tablet imprinted with "IP 117". 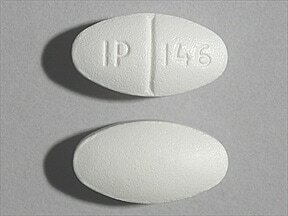 This medicine is a white, oval, scored, film-coated, tablet imprinted with "IP 146". Are you considering switching to Hydrocodone-Ibuprofen? How long have you been taking Hydrocodone-Ibuprofen?